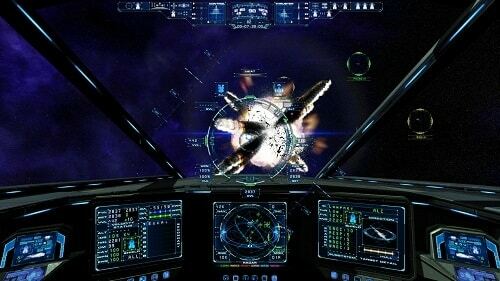 Explore the dark reaches of space in Evochron Legacy a freeform space flight simulation game that expands on the Evochron universe of games. Without a significant focus on story Evochron Legacy lets you craft your own path of survival and whatever that entails. Your choices for this path include things such as being a merchant, exploring, mining, racing, crafting, protecting and much more. This gives players ample choice to decide on their current objective and make plenty of in game currency to grow their wealth and reputation. All of these game aspects require plenty of strategy as you plan your ship movements and consider things like inertia with an experience that sometimes borderlines that of a space flight simulator. With features such as being able to look around the inside of your ship and shift your gaze through your side windows really makes you feel on the inside of your own single pilot starship. This realism in piloting translates over to the combat which is similarly impressive. Players need to consider things such as their shield array, energy, heat, stealth and their weapon type (of three available) and the aiming mechanics. Each confirmed kill against enemies or asteroids feels extremely satisfying as you balance all of the above. Freedom is the second key pillar of Evochron Legacy with players able to explore every inch of the universe without limitation. 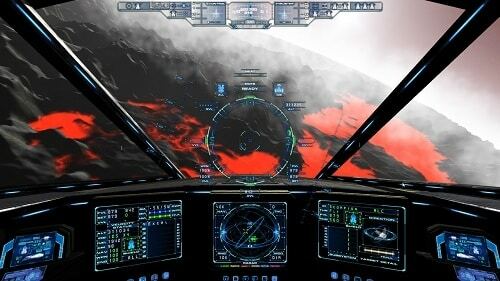 Fly low over a planet’s surface, land on city stations or jump from system to system with ease. Few space games can match the level of realism that Evochron Legacy offers and the vast number of improvements over the past game are a nice touch but are a little short of making it worth purchasing both of these Evochron titles. Explore an extremely vast universe in spacecraft. Blend of game and simulation. A new adventure in the Evochron universe. Join a faction and take on quests to increase your reputation and wealth. Trade, fight, explore, craft and plenty more.